Getting Started with almost anything is always tough. And same is the case with Twitter. Twitter is one of the most popular social networks after Facebook. Though Google Plus has seen immense growth in last few months as compared to Twitter. We can’t deny this fact that Twitter is the most preferred way to market product and services that Internet marketers can’t live without. That is the reason why newbie internet marketers are always advised to build a good presence on Twitter. But as you start, you’ll realize that getting your first 100 Twitter followers is very tough. There is a common myth about getting Twitter followers, many “Twitter Gurus” would tell you that if you keep following others, a large portion of them would follow you back and those who don’t just un-follow them. But is that an excellent strategy for getting your first 100 Twitter followers? Not… ! I’m sure, this strategy will increase your Twitter followers count, but those are just numbers. The hard truth is that “Any quantity is useless….unless it has some quality”. So it’s up to you whether you choose to prefer quality or quantity! Now, I’m sure you prefer to have quality…that is the reason why you are still here. So today I’m going to share some killer tips for getting your first 100 Twitter followers. Getting your first 100 Twitter followers is not a tough task if you go through these tips listed below. Start Guest Posting – This is surely the quickest way to increase your Twitter followers. If you succeed to deliver excellent guest post, people will surely love to connect you on other social platforms. Optimize your profile – You can never expect to get a large number of followers with an under construction profile. Provide your basic as well as professional details. Try to be as short as possible. 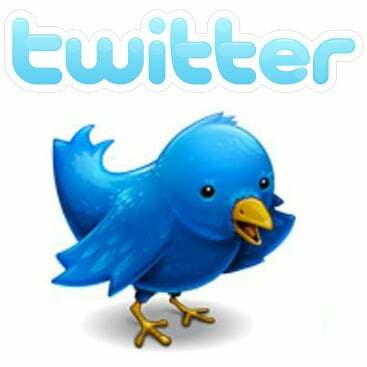 Offer your followers discounts and promos – About 80% of Twitter users prefer to follow brands just for discounts. Research for coupons and discount codes available for products in your niche and share them with your followers. This will not only help you in getting your first 100 Twitter followers but also in keeping them engaged. However, there are similar more killer tips listed in this infographic from QuickSprout. Check out this and get started with Twitter marketing quickly. Over the time I have learned that remaining active on Twitter has helped me to gain more Twitter followers. So I would recommend you to be more active on Twitter. Tweet at regular intervals, use proper hashtags (#), make others tweet favorite, retweet those tweets which are in your niche and you think your followers would be benefited – that’s how you engage with others and this will surely help you in not only getting your first 100 twitter followers but also in going above 100… ! Hope these killer tips will surely help you to gain your first 100 twitter followers. However, you may also try these 9 Killer Tips to Double Your Twitter Followers Doing Nothing. Well, if I missed any do let me know via comment section below. Enjoyed reading this ? Share the joy….share with your friends or tweet this. Getting More Likes and Shares on Facebook – How to Go Viral?